Pregnancy is just like AA, but without all of the meetings that help you get through the months of being without sweet, sweet alcohol. Well, I did it again. 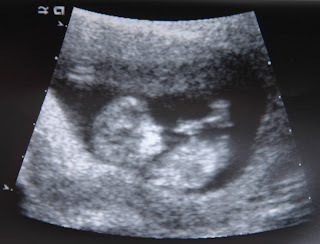 I got knocked up and didn’t think of the consequences: nine LONG months without the delicious wonder that is beer, wine and other assorted alcoholic beverages. Now, I am not an alcoholic or anything, I just REALLY like the taste of a delicious cold beer after a long day of work, teething, husbands, sunshine, rain, snow, etc. My. God. This. Is. Going. To. Be. A. Long. Nine. Months. Congrats! I know how you feel -- I'm 13 weeks and my #1 craving has been BEER!!! I went out with a bang though: two Maibocks at a local brewpub the night before I peed on the stick. On a similar note: I have a friend that drinks very small quantities of beer once she has reached her third trimester. I think like a quarter of a beer to her husband's full glass. What's your beer-loving opinion about that? I have taken sips of my husband's beer since I found out -- and I have to admit the thought of actually taking a gulp or two come week 28 kinda made my heart skip a beat. Grasshopper, I drink a lot of non-alcoholic beer. My Dr. said i is fine and it helps a bit. I will also have a real drink like wine every month or so if it is a special occasion. I is just a personal preference thing. Go with what you feel most comfortable with. I just came across your blog through a comment you left on a babycenter post. Of course the title caught my attention. I'm such a glutton for punishment that I'm travelling to a beer festival next weekend. Needless to say your blog may inspire me to actually blog about the experience of being the sober pregnant women amidst all of my beautifully ineebriated friends. I'll keep you posted. I swear he's holding a gavel in this pic. Check it out- what's the verdict?